Michael Starr at the New York Post offers his take on Better Call Saul, the clever, amusing and quirky crime drama that is a prequel to Breaking Bad. 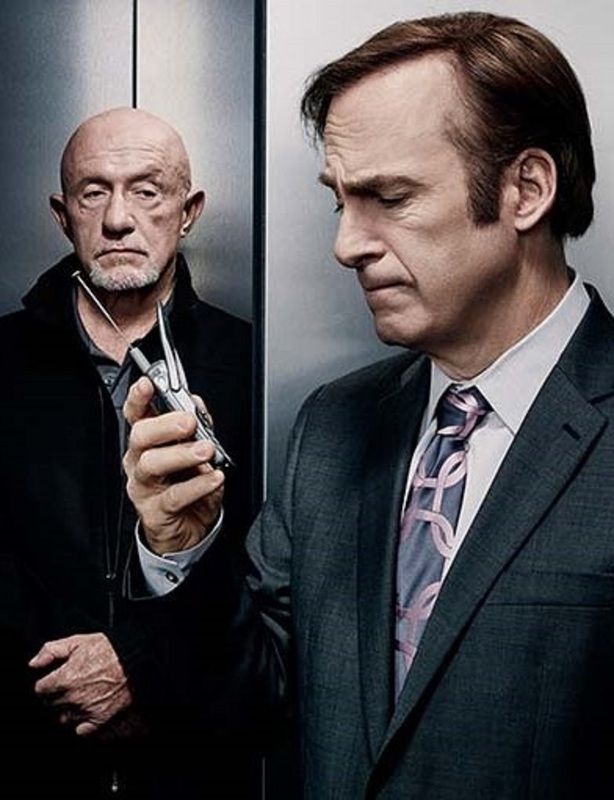 Back in early 2015, I joined the chorus of TV fans lamenting the premiere of “Better Call Saul,” a prequel series starring Bob Odenkirk reprising his combed over, shyster-lawyer character from “Breaking Bad,” which ended its scorching run just 17 months before. Sure, Odenkirk’s Saul Goodman was a charming, slippery chameleon, providing whatever comic relief managed to slow-drip into the pitch black world of “Breaking Bad.” He was fun to watch, but he was a lateral character who couldn’t carry an entire series. Why not just let “Breaking Bad” rest in peace and move on? Enough already. I was wrong, and as “Better Call Saul” barrels toward its Season 3 finale Monday night it’s become one of my go-to series. It’s no “Breaking Bad,” but it has carved out its own unique universe (in familiar Albuquerque, no less) and has succeeded in making Saul Goodman (or Jimmy McGill, as he’s known here) a multi-layered person surrounded by equally interesting and colorful characters.